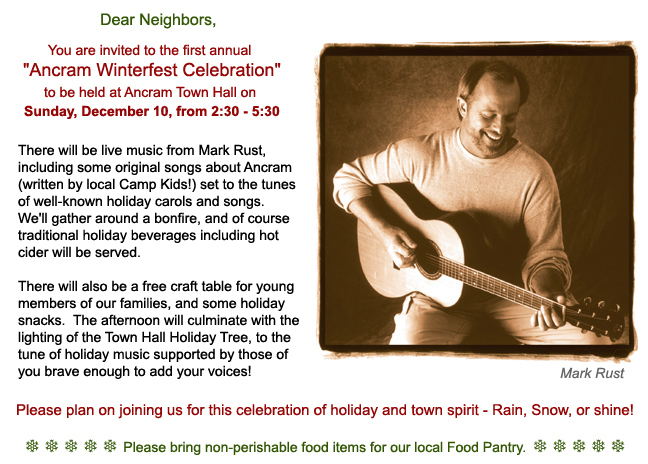 SING (OR QUIETLY HUM) TO HOLIDAY MUSIC BY MARK RUST AS YOU BROWSE OUR LOCAL ARTISAN TABLES. 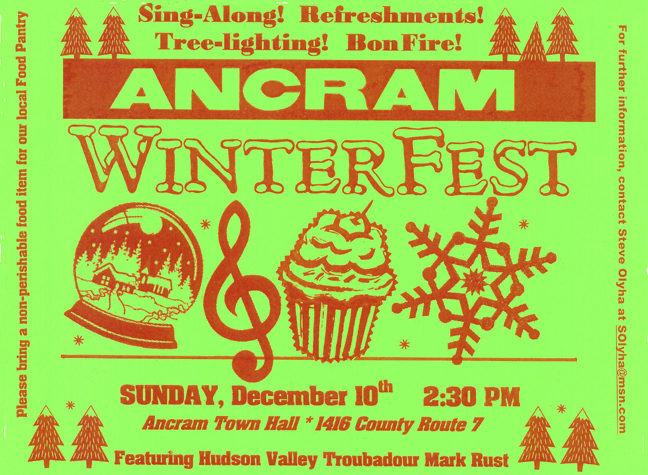 A COMPLETE LIST OF OUR LOCAL CRAFTSPEOPLE IS ATTACHED, SO GET READY TO DO SOME HOLIDAY STOCKING STUFFER AND PRESENT SHOPPING!! AND REMEMBER, FOR OUR WEE ONES THERE IS FREE COOKIE DECORATING AND ALL GET TO TAKE HOME WHAT THEY CREATE, OR MAYBE EVEN SHARE WITH SANTA WHEN HE ARRIVES BEARING HIS FIRST PRESENTS OF THE SEASON AROUND 5:30!! 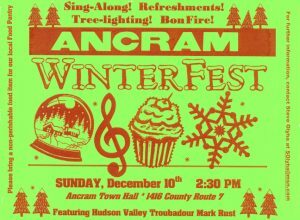 AND FINALLY FOR ALL, OUR ANCRAM FIRE COMPANY WILL BE SERVING FREE HOT FOOD TO KEEP UP YOUR SINGING AND SHOPPING ENERGY! !